Know the home name or number? Often revered as the "first Outer Banks vacation destination," Nags Head is characterized by its big open spaces and small town charm, offering a slow, relaxed pace to visitors looking for a laid back beach vacation drenched in rich history and natural beauty. Established in the 1830’s, Nags Head epitomizes the essence of the Outer Banks with its 12 miles of oceanfront coastline stretching from Milepost 10 to 22. With more than 40 public beach accesses to the ocean, and six to the sound, Nags Head is teeming with opportunities to get out on the water for a day of fishing, watersports or just good old-fashioned rest and relaxation. The northern end of Nags Head from Milepost 10 to 16 is also where many of the favorite restaurants and shopping on the Outer Banks can be found, such as Blue Moon Beach Grill (Milepost 13) and the Tanger Outlet Mall (Milepost 16). Nags Head is just an hour’s drive to Cape Hatteras and a little more than two hours to Ocracoke Island, providing visitors the opportunity for a day-trip to explore these wildly beautiful southern areas of the Outer Banks. In 2011, Nags Head performed beach nourishment to help bring sand back on to the shore. These beaches will be re-nourished in 2019. Stay up to date on the latest news and schedules for beach nourishment in Nags Head. Why Vacation in Nags Head? 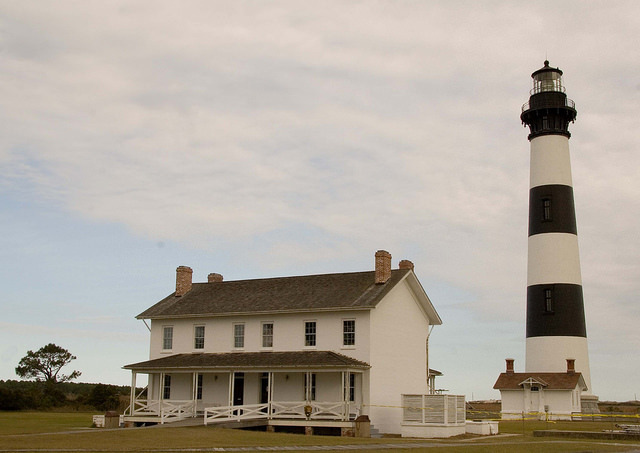 Discover one of the 5 landmark lighthouses of the Outer Banks at the Bodie Island Lighthouse. Eat like a local at one of the many family-operated restaurants in town. Cast a pole from one of the three major fishing piers found in Nags Head: Nags Head Fishing Pier (Milepost 11.5), Jennette's Pier (Milepost 16), and Outer Banks Fishing Pier (Milepost 18.5). Explore the many shops and activities for the entire family across the town. If it’s a trip into authentic Outer Banks history, immersed in wild, wide-open beauty with all of the conveniences and amenities of modern-day family beach vacation, look no further than a Nags Head vacation. 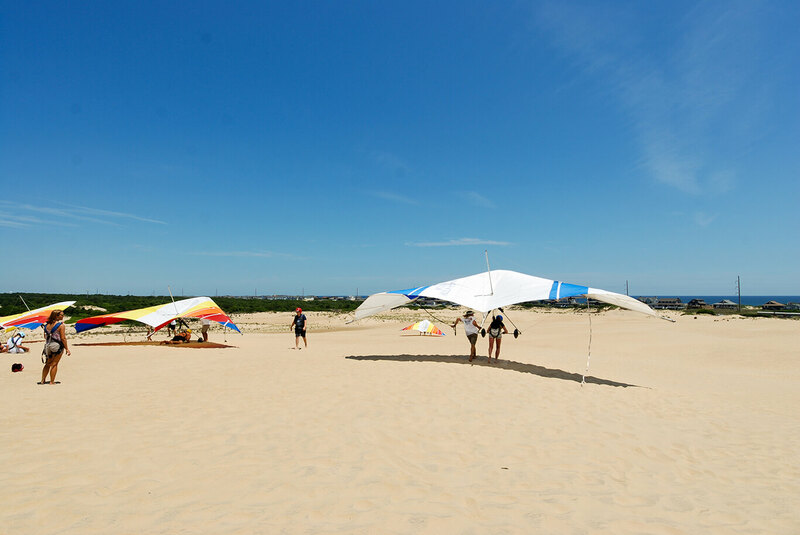 The unique winds attracted people to the area to live, and continue to provide exclusive watersport opportunities and refreshing nights to Outer Banks vacationers to this day. As cottages popped up in the early 1900’s, what is known as the Nags Head style of architecture was born. Today, a number of those homes still stand in what is called the Historic District, and Twiddy proudly models all of its own buildings after this iconic Outer Banks vacation rental style of architecture. 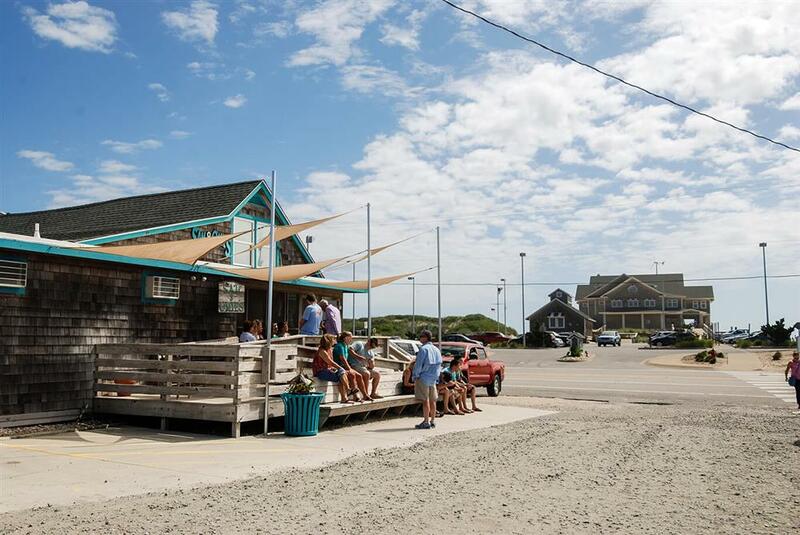 Nags Head boasts one of the largest selections of things to do in the Outer Banks. Fresh local seafood, sandwhiches to go, or fine dining restaurants in Nags Head. Find any activity in Nags Head from watersports to putt-putt. There are plenty of places to shop in Nags Head. Local recommendations for nightlife in Nags Head. Want Updates on OBX Rentals? Join our email list! Get the latest Twiddy news, exclusive vacation offers, and more!